Property 9: Beautiful lake front property with all of the comforts of home! Property 13: Beautiful Lake Home in a quiet relaxing setting. Access to paddle boats. Property 14: Beautiful lakeside retreat with dock. 1 Hr to Notre Dame. Golf minutes away. Property 15: Two weeks left for Summer 2019 - Saturday, June 1 to Saturday, June 15. 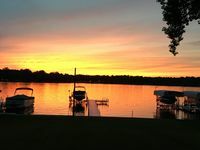 Property 17: Great Location With Lake Access On Beautiful Lake Wawasee! Executive Home directly across from Syracuse Lake! Sleeps 10! Property 25: Executive Home directly across from Syracuse Lake! Sleeps 10! Lake Front Home on Big Barbee Lake! Property 34: Lake Front Home on Big Barbee Lake! Lake Front Home on Sechrist Lake! Property 35: Lake Front Home on Sechrist Lake! BLUE HERON LAKE COTTAGE at Lake of the Woods.